Charlotte, a proud Winchester resident since 1997, is eager to share her enthusiasm for her community and to discuss Winchester's real estate market. 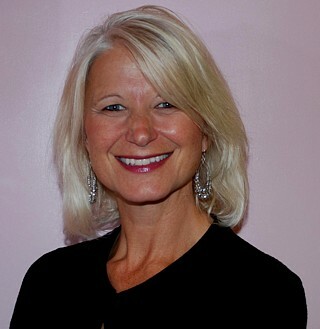 Charlotte’s experience in sales ranges from $200,000 condominiums to $2.6 million dollar homes. An active member of the Winchester Home & Garden Club, Charlotte was on its board for ten years. She is serving her third year as Rides Co-Chair for the EnKa Fair. Charlotte was a designer for the annual Art in Bloom event at the Museum of Fine Arts. She has completed two sprint triathlons and was a freelance contributor to the Winchester Star. Charlotte and her husband, Paul, are graduates of Providence College. They have two children attending Winchester High School. Charlotte believes the key to success is attention to details. Whether clients are looking for the home of their dreams or ready to sell their property, it is her mission to make the process informative and as smooth as possible. To find out more about the Town of Winchester and its many amenities and service organizations, please click on the "Links" tab above. If you are interested in a home listed on Hammond Residential's website or buying or selling a home in Winchester or surrounding towns, please contact Charlotte. She would be delighted to assist you. Click here to see a Luxury Real Estate press release that features one of Charlotte’s sales.